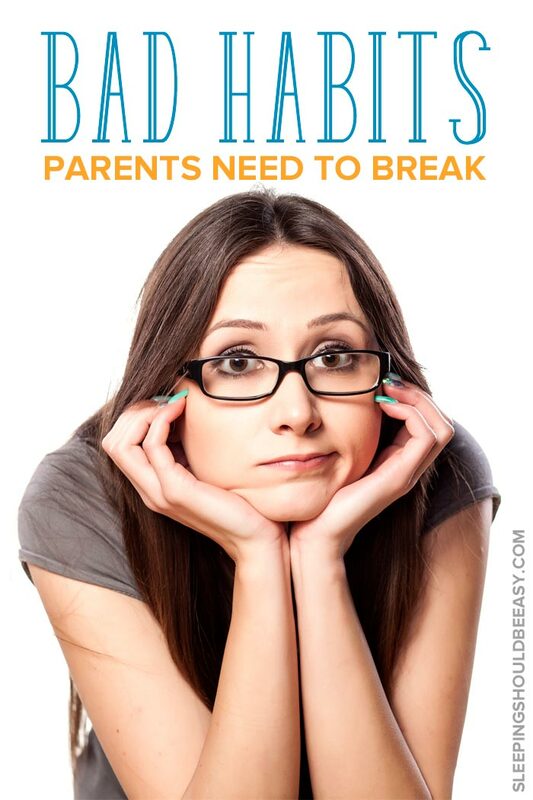 We all have bad parenting habits we need to break. 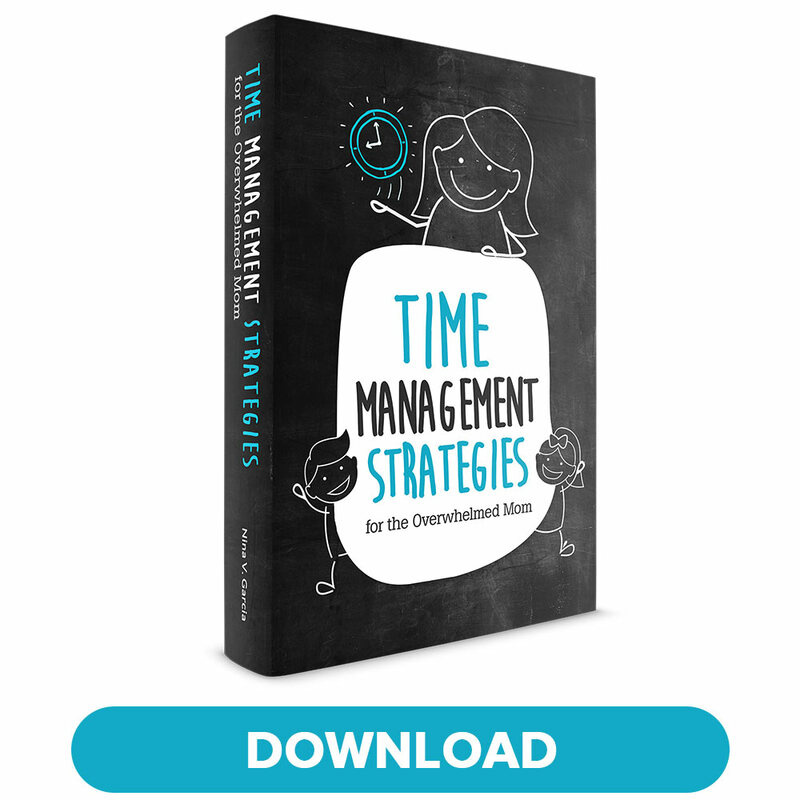 See if you can relate to these habits that are too easy to fall into—and how to avoid them. I’ve said this so many times to myself. I know what I “should” be doing as a parent but I keep repeating the same habits I mean to break. And while these won’t make or break me as a parent, they’re still annoyingly persistent, despite my best intentions. For you, maybe it’s those zillion times you relent and allow your kids that extra piece of candy. Or when you hop on the computer or phone when you should be playing with your kids. We all have our guilty moments when we realize we’re doing exactly what we told ourselves not to do. If you can relate, you’re not alone. Rest assured you’re still a fantastic mom, regardless of the bad habits you tell yourself you’ll stop once and for all. And don’t get too down on yourself. Below are my bad parenting habits I need to break, and how I plan to break them. “Oh, wow…” “Uh-huh…” and “That’s so cool…” are some of the should-be-said-more-enigmatically phrases I tell my son. Thing is, I’m not paying attention to what he’s telling or showing me. I always a good excuse: I was cooking, tending to his brothers, cleaning. Or his topic of conversation makes little sense to me (“The ocean water is this thick,” he might say. Huh?). And why does he keep interrupting a zillion times an hour? Now I learned that, no matter how busy I get, it’s actually more effective to stop what I’m doing to look him in the eye and listen to what he’s saying. He’ll feel acknowledged, won’t repeat himself or tell me the same thing again a few minutes later. Here’s another bad habit I’ve managed to mostly break: leaving tasks to the morning when I could prepare them the night before. As if mornings couldn’t get any cloudier, I now assemble my lunch, pack the pump and pick my clothes. I could have done all these tasks the night before instead of the morning, half-awake. Yes, we’re tired at night after a long day and want to cave in to procrastination. But we’ll be even more tired (and out of it) the next day. Now I do as much as I can the night before when I’m alert, so that come morning, I have less tasks to do (especially as I’m trying to get out of the house by a certain time). And for those times I still procrastinate, I at least make a mental note of what I need to pack. Even though I scold my mom for reacting too quickly, one could say the fruit doesn’t fall far from the tree. Just today, I reacted when I saw my four-year-old plop down on his baby brother’s legs. An act you swear was like setting the house on fire based on my reaction. Had I kept my mouth shut, my son wouldn’t have been in tears and assumed he had just committed the worst crime on earth. It’s hard to control reactions, so now I work on lessening the dramatics. Yes, I’ll still shoot out of my chair and run for a rag when he spills a cup of water, but I’ll do so quietly and without comment. We need to be careful about the questions we ask our kids because sometimes, they’re not supposed to be questions at all. For instance, I find myself asking requests, like “We’re going to the grocery, okay?” or “Want to take a bath now?” Complete with the rising inflection at the end of the sentence! I suppose I’m saying, “We’re going to the grocery. Do you understand?” But phrasing the necessary as a question invites his opinions when they don’t count. Now I learned to simply state it as a fact: “We’re going the grocery,” or “It’s time to take a bath now.” I then save questions for when I can honor his answers, such as asking which shirt he prefers or what book he wants to read. Yes, I consider the privilege of sleeping in a bad habit, but only because I hate when my husband and I are fumbling about in the morning while the kids need our help. We end up handing our four-year-old a banana while we feed the twins, hoping this buys us some times. Now I know better. And apparently so does my body, as I seem to wake 30 minutes on my own before I rouse the kids from their room. During those 30 minutes, I wake myself up and make breakfast. Usually. One of the healthiest realizations we parents can have is that we’re not perfect. We won’t ever be, and that’s actually okay. Looking back on your list of bad habits, you may find you still do the things you swore you wouldn’t. But over time, we do our best and hope the good habits outweigh the bad. And if they don’t? Well… a late wake up time or a forgotten lunch never really hurt anyone. Did you like this article about breaking bad parenting habits? Share it on Pinterest and Facebook! I can’t seem to get things in order the night before. Every now and then I do it. Last night we had to pack for today’s early morning flight and I was so on top of things. So I know the capability is there, and yet, every morning is a rush! The day-to-day is what’s challenging! Packing for trips or once in a while outings is cool; it’s the every day that’s hard. Seems so never ending! I have mostly conquered my bad habit of saying “okay” at the ends of sentences when I tell the kids what we need to do – talk about a way to invite them to challenge the schedule! Right now I am working on being more responsible about getting enough sleep. Which means I should probably go to bed now! Getting to bed has got to be one of my biggest challenges too. Even though the kids sleep 12 hours straight, I still stay up til 10:30 when I could be in bed much earlier! Good morning….your bad habits are MY bad habits as well….Im a single mother of three and sometimes it feels very overwhelming trying to keep to the schedule I have made. Especially when it comes to waking up before the kids and really paying attention to them when they are speaking, which is weird and kind of rude to me, but I get it, being consumed with adult issues and wondering why this and why that. Thanks so much for this, gave me some things to look at as a mother and all around person. I’m with you on the first three. The last two make me thankful to be a stay at home, homeschooling mom. I got woken up when my kids crawl into bed with me for some cuddle time before we start the day. Then they play while I get breakfast. Once my oldest is out of the “learning through play” phase I’ll have to be a little more on top of things. In the meantime, I’ll work on not freaking out when they argue incessantly about nonsense. Even if the baby is screaming and I’m trying to get dinner in the oven – not cool! Oh man Daphne those hours trying to cook can be some of the most challenging! These days I’m also potty-training my twins, and cooking and cleaning up accidents just don’t mix lol! Nina, you really write great articles and inspire me. But this one, about waking earlier than the kids, I wish I could. My son (15 month old) wakes up at 4 am nearly every day, and clearly I don’t have the energy to wake up at 3.30 am while I need to work until at least 10 pm the night before (I’m a WAHM, and only able to work after my son’s asleep). Do you have any ideas on how I can reclaim my morning? Thank you before! Thanks, Chrysant! You bring up a great point of how to manage being a WAHM with a son who wakes up super early. Have you tried leaving him in his crib until it’s time to get up? I’d establish a set wake up time, say, 6am or 6:30am, and anything earlier than that it should still be sleeping time. Pop your head in his room or crib and let him know it’s not time to wake up yet and to go back to bed. Keep everything subdued and calm. I’d also get dark curtains and white noise so he can sleep better in the mornings (those early morning hours are harder for kids to stay asleep). And lastly I’d see if he was sleeping late enough the night before so he can sleep until a time you’d want him to. Try training him with a patch baby rest night light it can change colors. Like blue means you can play in your room but not leave, red you must stay in your bed and green you can come to mom’s bed and cuddle. They also have an app on your phone you can set a schedule for the light to change colors it’s also a sound machine too. Hi Jessica, yes I’ve heard so many good things about the Hatch night light! Glad to hear your friends had great success with it. This is SO me (freaking out unnecessarily, sleeping in too late, not preparing the day before)…and I only have 1 child! Oh well, at least I’m in good company. I could relate to all the bad habits that you mentioned, which i had been guilty of at some point of time. I’m still trying to work on not ‘freaking out’, preparing the night before and waking up earlier. It takes a lot of discipline not to procrastinate at night (especially when you are so tired) and to sleep earlier. Tell me about it, Eve! I still struggle with getting everything ready the night before especially when you just want to crash for the night.